This weekend it was sunny, beautiful, and everything I love about Northern Michigan. You know how I mentioned I missed the wandering through the woods in the snow last weekend? Well I got it done this weekend on top of cleaning and organizing. Not to mention hanging with friends and truly relaxing. I really really try not to work on the weekends. I like to unplug fully from work because though I love what I do I feel it is extremely important to have a work life balance. During the week I am still working on finding a middle ground with doing laundry, working on projects, writing on the blog, working on launching the print shop (totally on the back burner right now), and being a good friend, wife, and member in the family. It can all be hard to balance but some day I hope to perfect the art of juggling it all. So though our little adventure this weekend was short and sweet it was fun, relaxing, and right in our back yard. We love to hike and adventure through the woods, thankfully we live in a place that has an endless amount of trails that always feel different every time we go. 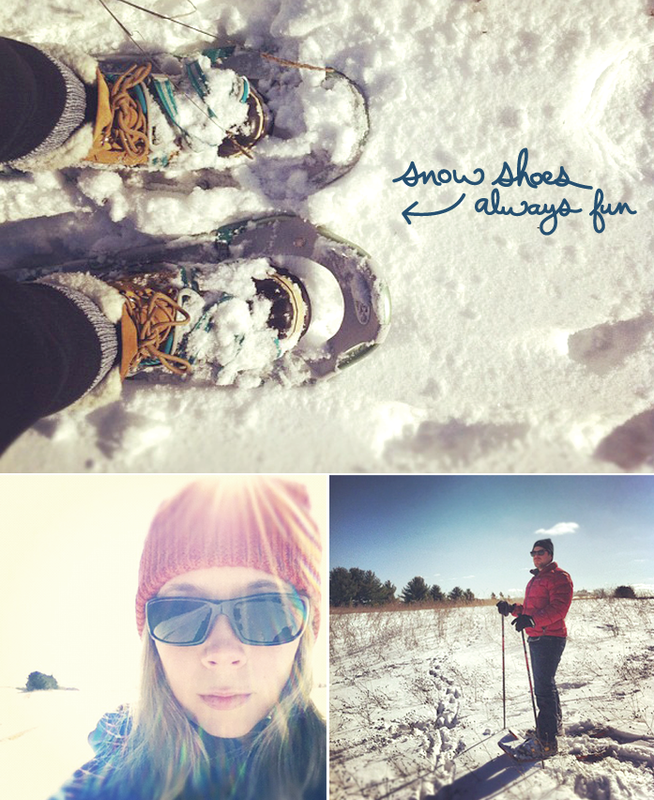 This winter we have not done the snow shoeing we have wanted, which makes me a little sad. So Sunday we woke up to a bright sunny day with fresh snow on the ground, this screamed for us to take a little trek together. It was 35 degrees, which may sound cold to most but anyone that has been to Northern Michigan on a sunny day in the winter knows that 35 feels more like 50. We wore light gear since we knew we would quickly be sweating. I wore my thicker leggings, thick wool socks, a tight tunic tee layered under a tight tunic cowl neck sweater with a Marmot shell to break the wind, with of course a trusty cap and sporty sunglasses. Maybe not glamorous but honestly this is where I feel the most comfortable. Mike wore a flannel, down coat, and jeans with sunglasses and a cap. Of course we couldn’t trek into the woods without our good ole Sorels! Yeah we kind of live for those boots. I am not the best at going for long runs or hitting the gym. I honestly find it boring and more discipline like than enjoyable. This means instead Mike and I love to go on these long hikes. The best part is when we found out how many calories you can burn while snow shoeing…get this one…in one hour you can burn up to 800 – 1,000 calories depending on hoe strenous the trek is. For us I would say this was a light walk and was probably more like 600 but still…not only are you super relaxed but you just had a killer workout. Can’t get better than that. 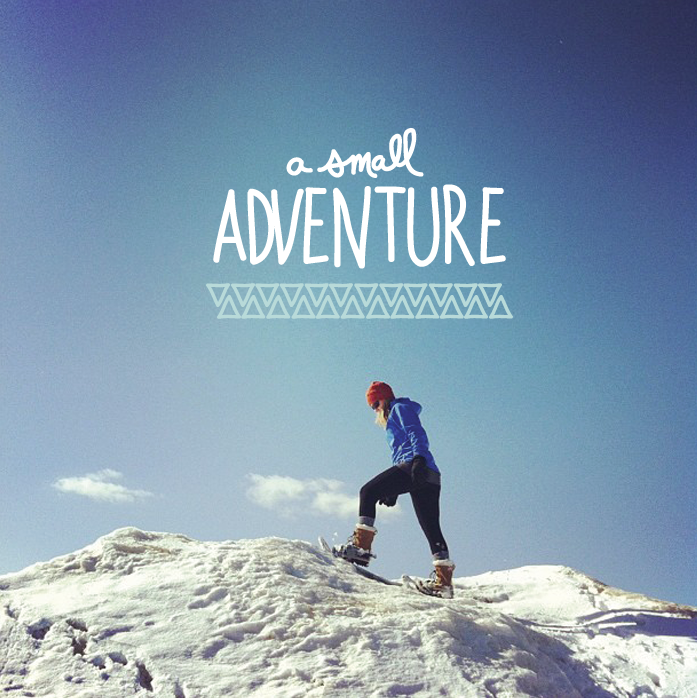 I hope you all had a wonderful weekend full of adventures and fun that has prepped you for the week ahead! So love this post! Beautiful photos and your thoughts on maintaining a work / life balance are right on. Have a great week! This is so amazing! I wish it would snow down here a little bit! Or I could travel to somewhere where it was snowing a lot! so jealous! Wow, that many calories – that’s amazing, never gone snow shoeing and would love to try. Great images and loved seeing them on instagram, too! Well actually I think you look really cool! Sounds great fun and beats the gym anyway. Not much call for snow shoeing in London otherwise I’d give it a go!